2413 Tanning Reeve Way, Virginia Beach, VA 23453 (#10251102) :: Abbitt Realty Co. 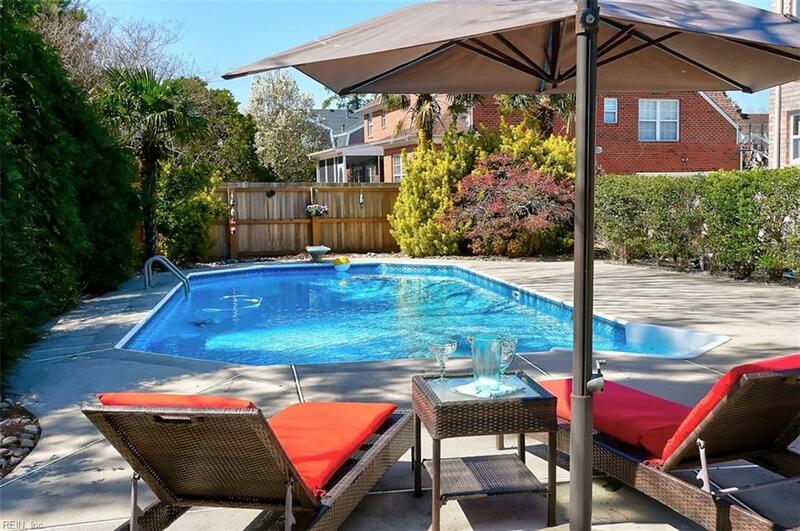 Fantastic all brick transitional with sparkling 36 x 16 ft pool on acre lot! Prime location on cul de sac; home backs up to lake/wooded area for serenity and privacy. 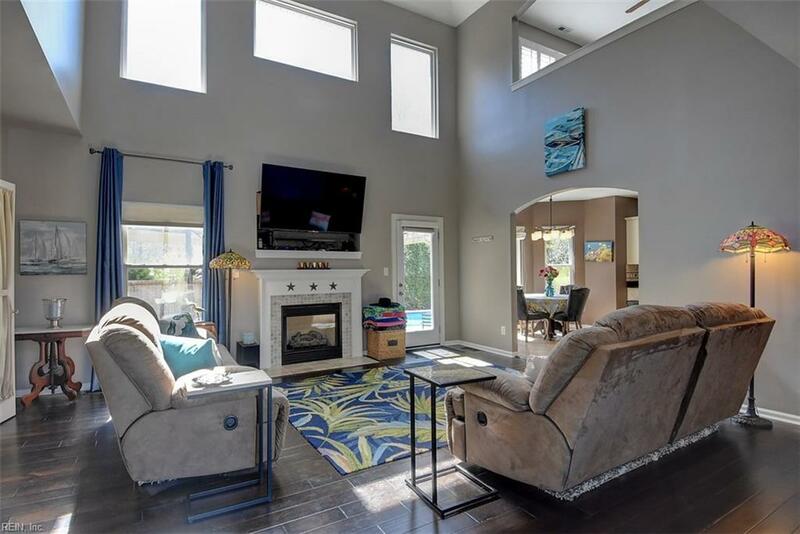 Open floor plan, high ceilings, premium finishes and upgrades throughout! 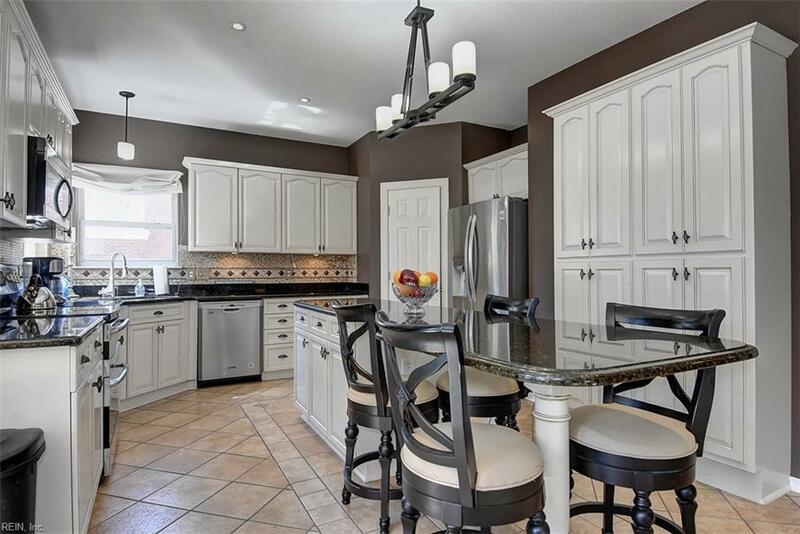 Gorgeous "Chefs Kitchen with upgraded cabinets, granite, tile backsplash w/ unique copper accent, large step-in pantry, extended center island/breakfast bar, butlers pantry, dry bar and breakfast nook. First floor bedroom with ensuite bath makes the perfect guest/in-law suite. 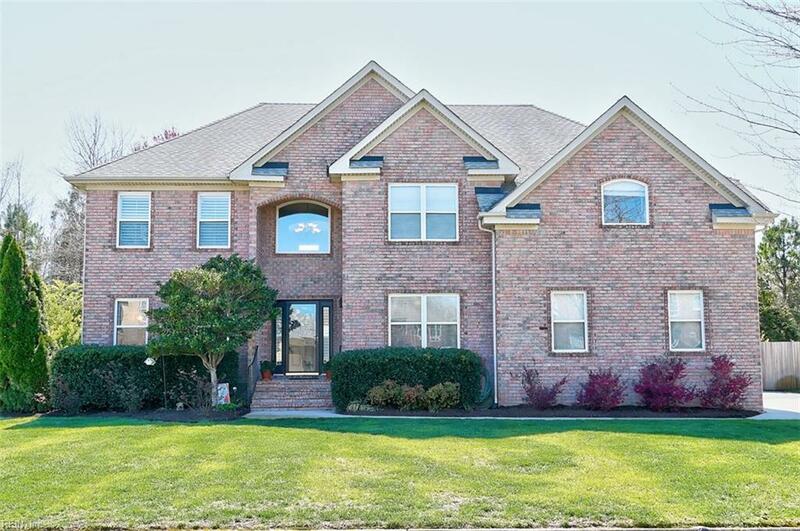 Two-story great room with natural gas fireplace, gorgeous dark engineered hardwood floors & stairs with wrought iron balusters! Spacious master suite with tray ceiling, luxe bath, huge walk-in closet with custom organizer! Upstairs full bath features double sinks, granite, upgraded millwork, and custom tile. New 6 red cedar privacy fence 2018, new gas pack/HVAC for bottom floor 2018 (other one replaced 2015), many other upgrades/renovations, see complete list in house.